Complete all the modules successfully and receive a Post Graduate Certificate and Alumni Status. Join a vibrant digital marketing community and become part of one of India's top marketing universities. Easily shareable across LinkedIn, Naukri, etc. She completed her PhD in Advertising Management and has spent almost 20 years teaching Marketing, Advertising and IMC-related subjects at MICA. 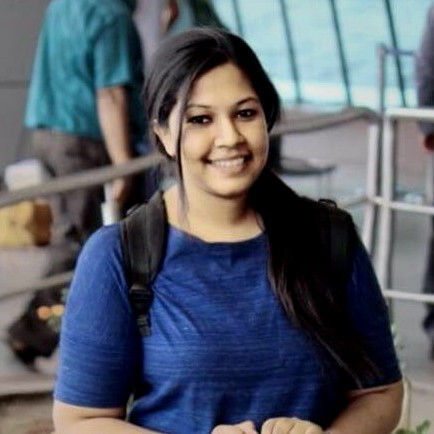 Sakhee Dheer leads the Digital Marketing function and analytics for Facebook's clients in the APAC region, as she previously did for Microsoft APAC. 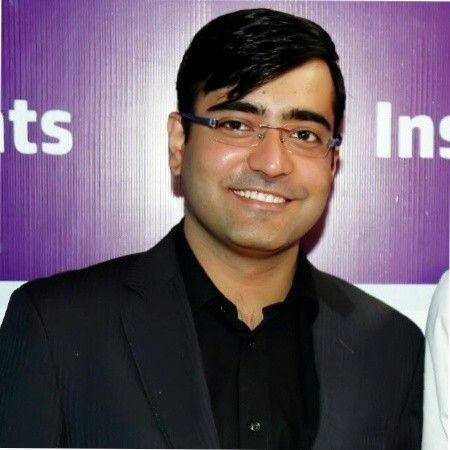 Dhaval is a serial entrepreneur with 11 years of wide-ranging experience in marketing, advertising and e-commerce. He graduated as a "first MICAn" in 1996 and returned to his alma mater as a faculty. He co-created MICA's Digital Communication Management (DCM) specialisation. Previously the Director of Research at Imperial College of London, Jaideep is now a professor of Marketing at CJBS. Dr Krishna is the Associate Dean and Professor of Strategic Marketing at MICA. Armed with a PhD from IIT Bombay, he joined MICA as an Associate Professor. He is an alumnus of VIT and IIM Kozhikode. With over 10 years of experience, he has worked at high-growth mobile, e-commerce and ad-tech companies. Dr Anita Basalingappa is a professor in Marketing and Chairperson of Online Programs at MICA. An accomplished international marketing speaker, Michael Leander has spoken across 40 countries on his areas of expertise. Dr Trivedi has a decade-long corporate experience with India’s leading media companies, such as HT Media, Radio One and The Indian Express. Apurva Chamaria headed corporate marketing at HCL Tech for 4+ years before joining the SaaS provider Rategain as its CRO. Kavita co-founded Avocado Digital, which offers strategy consulting services and marketing solutions for digital brands and e-commerce. As Razorpay’s CMO, Karan led brand-building, strategic events and communications. He was also the Head of Marketing at OnePlus. You can choose one or more specialisations, based on your interest. Learn how data-driven decisions are made for Google's telecom clientele. upGrad and MICA not only helped shape my career in Digital Marketing but also helped me make a smooth career transition from Public Relations to Content Marketing and Digital Communications with a hike over 100%. The animations that were used can be improved further to enhance the learning experience. It really helped me to get my first job in the programmatic marketing field. I am thankful to MICA and upGrad for helping me to start my career. I am able to optimise my campaigns well. Overall, I love this course. Most importantly, it helped me to kick-start my career. The experience was great as the course modules were designed to match the current market requirements. The knowledge and deep insights from the course helped me gain confidence and become more approachable during interviews. This is how I bagged a Senior Manager Role in a reputed company. The program has been a great value add. The way the program is structured is wonderful and it gives non-marketers like me a complete hand-holding experience to learn and transition into Digital Marketing. The mock interviews at upGrad was very helpful since it was catered to the kind of role I was looking to get into. The feedback was extremely useful and also helped me gain confidence before the main interview. Get personalised career pathing from experts to chart out best opportunities. Receive 1-1 mock interviews conducted by industry mentors & detailed feedback after an interview. Get an opportunity to interview for 250+ hiring companies partnered with upGrad. You can choose one or more than one specialisation based on your interest. Not sure if Digital Marketing is the best fit for you? Complete an introductory Digital Marketing 101 course for free. The course justifies every penny charged and is an investment that reaps benefits once we enter the market after course completion.